Another month means another exciting resident artist. This month I have the pleasure of sitting down with Hardwell and talking to him about his upcoming tour ‘I Am Hardwell’ coming to North American for the first time since it launched back in 2013. The first show is set for Chicago on Halloween night, talk about a little treat for those Midwest kids. But before he arrives we had to chat with him about this once in a lifetime experience and of course get some other information while we had him. TMN: Hardwell! Hello! 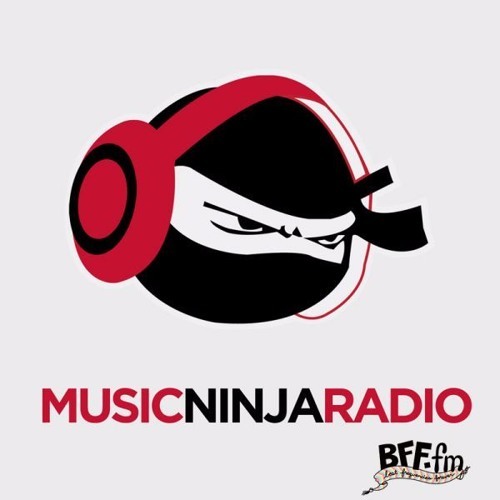 We have to start by saying thank you so much for being our resident artist this month, it really is an honor to have you take over The Music Ninja website! H: Hello to you! Thanks so much for having me. TMN: So I guess let’s start at the beginning of the whole ‘I Am Hardwell’ concept, can you tell us about your inspiration for this tour and what it was like introducing this amazing musical experience in Amsterdam to a group of over 6,000 present fans and then broadcasted to over 100,000 fans all over the globe? H: Well before this came about, I was playing a lot of festival gigs and club tours all the time, and it got to the point where it was definitely time to take the next step. For me, that was doing my own concert series that you now know as I AM HARDWELL. Myself and Alda developed the stage design and I’ve been involved with it from the very beginning. This was exactly the way I wanted to bring it to the crowd. Once we developed the whole concept, I started taking it around the world. Amsterdam was the first I AM HARDWELL show that we did, so it was truly an incredible feeling to deliver on what we’ve worked so hard on to my fans from home. Knowing that over 100,000 fans could watch from their home made debuting I AM HARDWELL even more special. TMN: Now talk to us more about how this is different from any other show you have done before because it is based on your rise in the music scene correct? Talk to us a little bit about your musical background and where you started from, how about even before you were a DJ, were you involved in any musical elements as a young child? Could music be found in your household? H: Yes, I really wanted this show to be about my music and experiences. For the I AM HARDWELL shows I decided to make my performances 3-hour sets so I can take the crowd on a musical journey. I’m lucky to have my own stage design, sound, and production as well. The one thing I wanted to achieve with my I AM HARDWELL shows was to give my fans the best experience they’ve ever had and unite them with my music. As for my musical background, I started when I was four years old playing classical and jazz music on the piano. I discovered dance music when I was about 10 years old because the top DJs in the world like Tiesto were from my city. From then I started producing dance music. I was so lucky to start being recognized at such a young age. I started playing more clubs and shows around the world. I can’t remember one day when music wasn’t playing in my family home. My parents were basically into all kinds of music from Abba, to Elvis Presley, and even James Brown. TMN: And what about the moto for this whole show, ‘if you can dream it, you can do it’, tell us what that personally means for you as an artist and a person, and what you hope your fans take away with them from that message? H: This entire journey has been a dream for me. It’s been a goal that I’ve set out to achieve ever since I was a child. Every step I’ve made and the hard work I’ve put in throughout my life was for me to become a top DJ and to be able to tour around the world. I want to inspire my fans and be an example for anyone else with a dream. This may sound corny, but if you work hard enough, and put in the time and effort, dreams can come true. A new season is upon us, beautiful fall. The air is crisper, the sun sets a little earlier and rises a little later, and the leaves on the trees change from their lush green to the colors of pure fire and flames. And with the changing of the seasons comes the changing of resident artists here at TMN. Let me tell about our new resident, a little about where he came from and how he changed from establishing himself as a DJ at the tender age of fourteen to creating a musical empire where he reigns as one of the most well known international DJs of his time, currently ranked #1 in the world by DJ Mag. Just as seasons change, our resident artist Hardwell has continued to grow and expand his musical repertoire showing every year why he is one of the best when it comes to music. Over the years, Hardwell has taken his love of music and captivated audiences around the world. At just twenty-five years young, Hardwell is the label boss of Revealed Recordings and has landed 6 consecutive #1’s on Beatport. Like his great mentor Tiësto, Hardwell proudly hails from Breda, a city tucked deep within the Netherlands and it is here where he first discovered his love of music. Today, Hardwell continues to bring his impressive sound anywhere and everywhere he can in the world, with the final stop of his I Am Hardwell tour being here in the U.S. and Canada. Back in 2013, Hardwell launched his most ambitious project to date when he unveiled his I Am Hardwell World Tour concept at a completely sold-out Heineken Music Hall. A spectacle of unprecedented musical vision and production detail, the entire show was broadcast live to hundreds of thousands of fans around the world. After the successful kick off of his I Am Hardwell World Tour in Amsterdam last April, Hardwell has sold-out shows in 19 countries around the world including shows in Singapore, Guatemala, Istanbul, Tel Aviv, Bangalore, Mumbai, Lisbon and London, and is now poised to take over North America. Are you ready for the seasons to change? Maybe not, but I can guarantee you are ready for the I Am Hardwell tour to come State side. This is going to be a tour you won’t want to miss because Hardwell is going to bring everything and more to each and every show. He is Hardwell and we are beyond honored to have him as our resident artist for October. For any additional information such as additional dates added, visit http://www.iamhardwell.com/. For tickets visit http://www.livenation.com/artists/45606/hardwell. Hardwell lands in North America on Halloween night, get ready for an unbelievable tour and an extraordinary month ninjas. Hungry Electro Ninjas!!! Welcome to the grand opening of the Electro Dojo. A place where you can train in the arts of bass pumping, frequency stretching, beat dropping tracks for whenever you are in a sticky situation. A while back we used to release massive electro posts and and zips and we are bringing it all back into a new Weekly/Montly series. Here are just a few of our favorite Progressive/Electro/House/Techno tracks we have loved in the past couple of weeks. Make sure you stay tuned for our DUBSTEP DOJO and Acoustic Dojo being released in a couple of days. ENJOY!